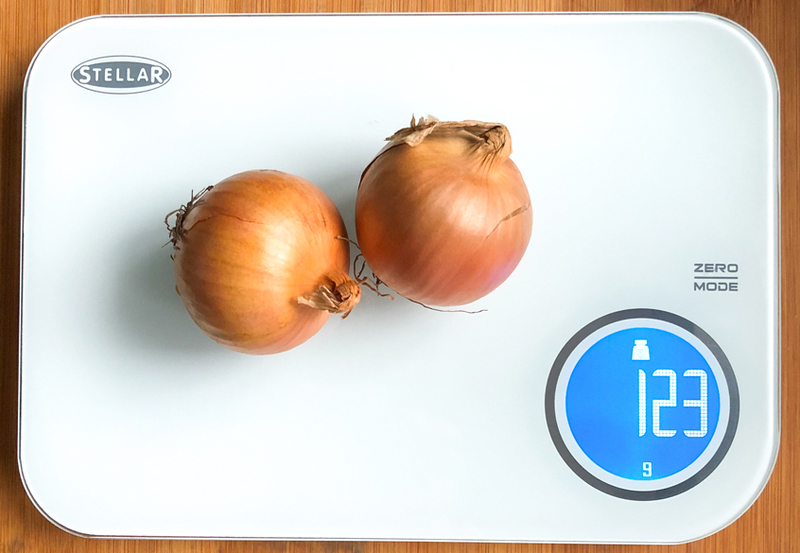 I keep trying to eat kind of healthy and watch my calorie intake so I'm hoping these Bluetooth Diet Scales from Stellar Cookware will help me. Along with things like my Weetabix with and Berries and Chia Seeds Smoothie etc. But for me the most difficult part about eating healthily is keeping track of calories when making home cooked meals. It's all fine and dandy if you buy ready meals with all the info on the packaging but in my opinion they're rarely healthy packed with far too much salt and an alarming amount of fats. Armed with these shiny new Scales from Stellar I've been testing them out. The App tracks daily intake of weighed calories, fats, cholesterol, carbohydrates, fibre, protein and sodium and its possible to add new custom foods too. The scales give highly accurate measurements of weight and volume, in grams, ounces and millilitres. With one-touch measurement conversion and a tare function for the addition of other ingredients. You can find out the calorie content your food and monitor your calorie intake via the App. All you do is add ingredients to the wipe-clean weighing plate and press the appropriate button for an instant read-out that's transferred to your phone and will appear in your daily intake on the App; compatible with Android and iPhone see note at the bottom for more info. Breakfast, Lunch, Dinner and Snacks are all on the one phone screen and you just scroll down; but of course for me to take screenshots this is the only way I can show you. As you can see there's even a place to add 'Snacks' and a screen that shows the Nutrition totals. The App shows daily intake of weighed calories, fats, cholesterol, carbohydrates, fibre, protein and sodium. The App is easy enough to use and as I'd made Sausage casserole for dinner I had to input half of things like the whole tin of tomatoes I used in my recipe for two of us. I had 2 reduced fat sausages but it's almost impossible to list every single ingredient such as a pinch of chilli flakes, half a stock cube and the tiny amount of olive oil I used to brown the onions, carrots and sausages. But with that said it's fairly accurate and those sort of things wouldn't really make much difference to the calories etc anyway so all is good. As for the Worcestershire sauce I added which was a tablespoon so thinking back I should have only added say 8g as 15g was the total for the whole dinner. As far as I can see there's no way in the App to alter the actual measurements from grams to ml or teaspoons. Everything foodwise defaults to show grams and you can adjust the amount of grams accordingly but if the App could show things like Worcester sauce and a cup of tea in tablespoons or millilitres that would be far more user friendly. Paul (the husband) is trying to keep a track of the amount of salt (sodium) he has in his diet and so the scales are and the App are brilliant for this. You add ingredients to the scales and then the App asks 'what's on the scales' and the food or ingredients appear in your Diary (daily intake) as shown above. Tare the scales and add the next item. Everything then shows up in the App. So for example you have Bran flakes for breakfast. Pop a bowl onto the scales and tare to set to zero. 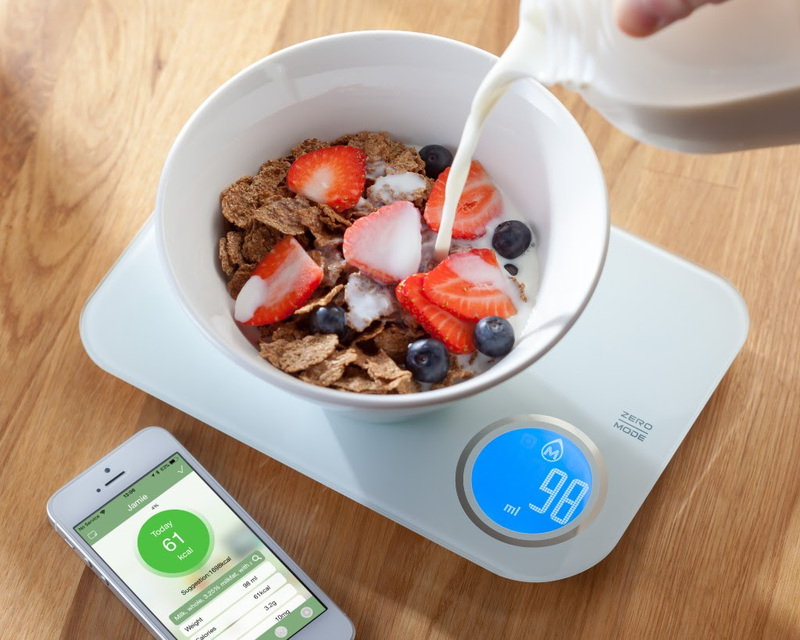 Add the bran flakes, tell the App what you are weighing and it will add them to your diary. Then tare the scales to zero and set them to weigh milk. Pour the milk in the bowl and again tell the App to add them to your food intake diary - simples! Modern Chef App (used to track nutrition) requires wither Android 4.3 device with Bluetooth version V4.0 or above or Apple iPhone 4S or later with iOS 7.0 or above installed. For more information and to buy click go to Harts of Stur or Amazon. Disclosure: All thoughts and opinions are my own. I was not required to write anything positive.